For our latest talkshop, the UK Coffee Week team enlisted the help of Bodum, presenting some new and innovative ways to slow brew coffee in store. 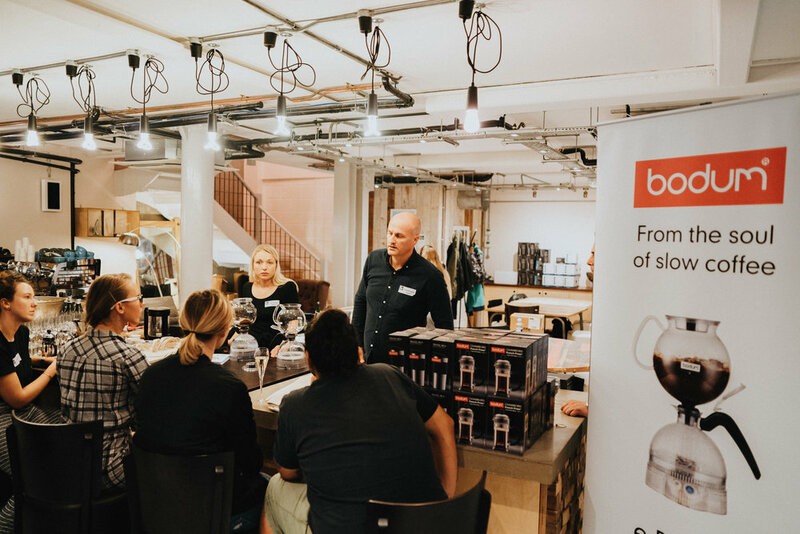 Demonstrating the ePebo electric vacuum coffee maker, pour overs and the French Press, Bodum and TY Soho welcomed members of the independent coffee community to trial the latest in slow coffee sensations. Darren, Co-Founder of Timberyard, giving an opening talk about UK Coffee Week and why independent shops should get involved. TY has been the highest fundraiser since 2014, so who better to rally other owners! 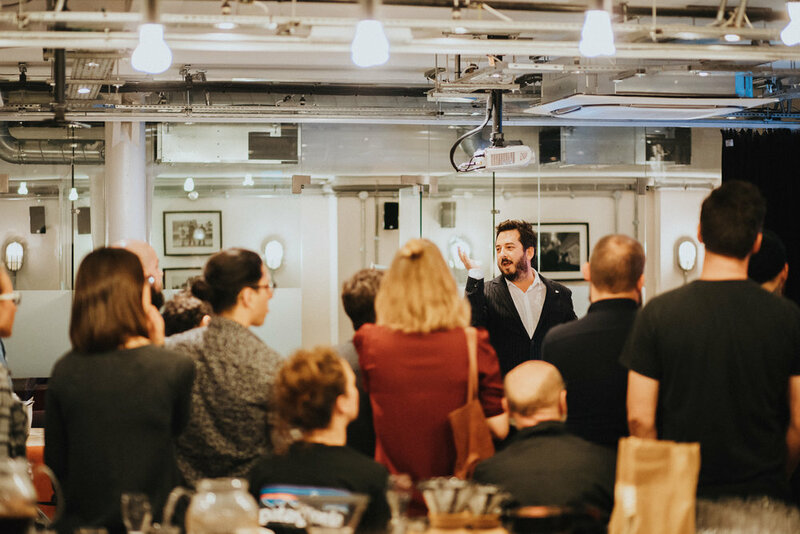 Following Darren were Jeremy, Egle and Ormond giving a quick talk on the importance of slow coffee methods within coffee shops, as the younger generations become more fascinated with older methods of brewing coffee. There is an element of showmanship about slow coffee that can be exploited in today's shop environment. A little taster following the demonstration, with baristas able to get up close and personal with the ePebo and other Bodum brewing kit. The water in the bottom of the ePebo is heated to temperatures of about 90 degrees, with the steam then mixing into the coffee grinds in the pot above. This process lasts for about 10-15 minutes before it's ready to drink. Baked treats were provided by the ever generous Cakesmiths, bringing the evening together with a host of scrumptious goods. A great turnout, and a big thank you Bodum, TY Soho and to everyone who attended! If you would like to get your own ePebo or any other Bodum equipment, head to their website to find out more!